J.M. Wilkerson Construction and Stevens & Wilkinson teamed together to successfully complete the 50,000 square foot historical municipal market renovation. The design/build team provided full architectural and engineering, as well as construction services. 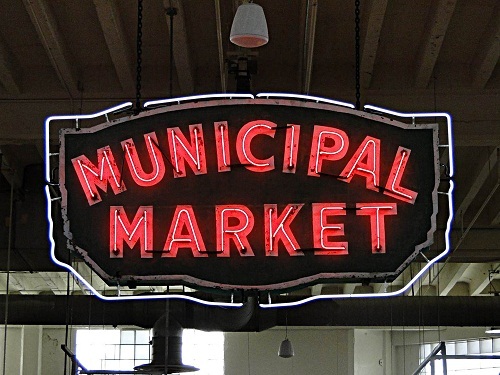 The Sweet Auburn Curb Market was an 85 year old structure needing critical capital improvements to increase the energy efficiency of the building. Scope of work included renovation of public restrooms, repair/replace doors and gates, electrical and mechanical upgrades, lighting retrofit, elevator upgrades, addition of HVAC units, signage, painting and repairs of exterior and interior, plumbing upgrades, fencing, redesign interior seating areas, replace damaged glass in windows, exterior lighting, and other improvements. J.M. Wilkerson worked closely with the Atlanta Urban Design Commission and the City of Atlanta to complete this historic rehabilitation in the heart of Atlanta’s most important downtown districts. The $1,600,000 project was funded through stimulus funds from the American Recovery and Reinvestment Act (ARRA) of 2009, and a Community Development Block Grant (CDBG) from the City of Atlanta.